This is a dark chocolate & raspberry mousse cake. The raspberry component is the jelly on top. The outer shell was made using sheets of cellulose acetate smeared with melted chocolate. It was then placed in the fridge to solidify, making a shell in which to hold the mousse. 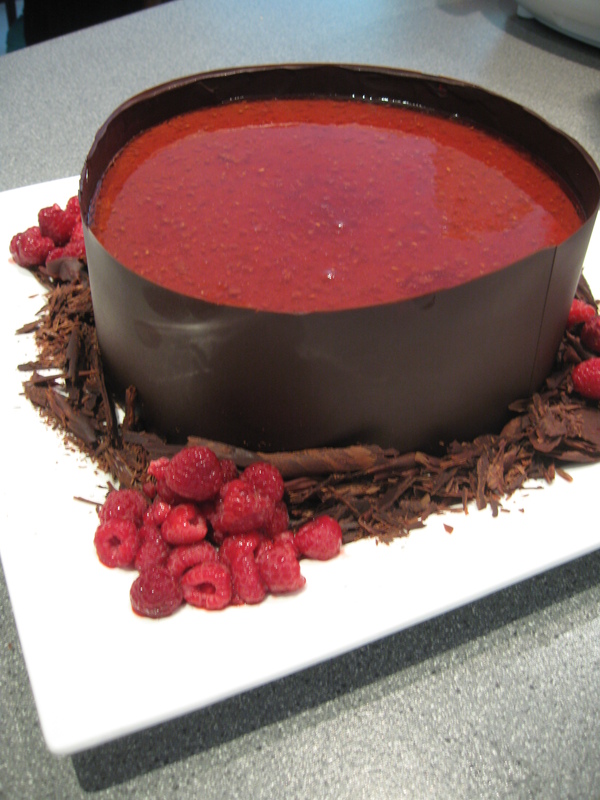 Chocolate & Raspberry – Classic!